Once the tree is cut down and limbed, the process of cutting the tree into firewood begins. Bucking is the process of cutting the tree, which is now a log, into the size pieces you want for your fireplace or stove. The cut pieces are called rounds and ready to split into burnable pieces of firewood. Many species of trees can be used for firewood. Hardwoods such as oak are the hardest to buck and split. 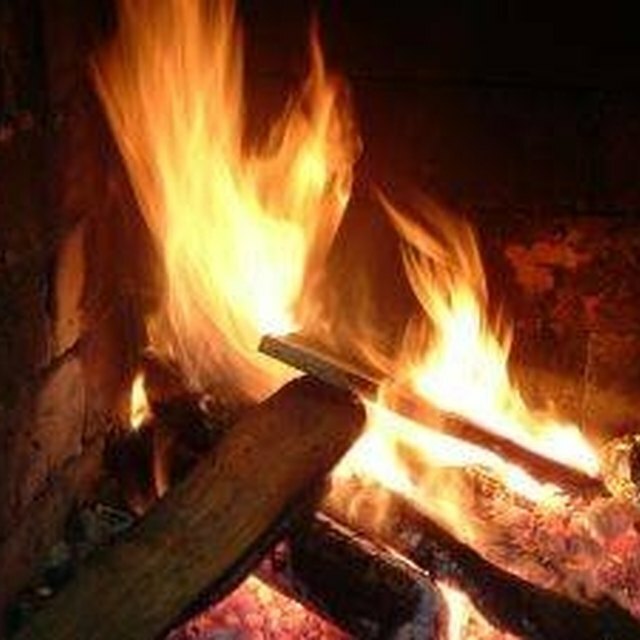 Soft woods such as fir and pine are the easiest to buck and split and the most common wood used for fires. Logs are bucked up into stove length pieces called rounds. Measure the log with steel measuring tape. Make small chop marks with the ax at the desired measurements for each round of wood. The length of the piece is determined by how big of a piece of wood your stove or fireplace can take. Measurements of 12 to 20 inches are the most common lengths. Cut on the marks completely through the log with the chainsaw. Buck up the entire log and then turn the saw off and put it aside. Pick up each round of wood and toss it into a pile where you will be splitting the rounds. Buck up all the logs before starting to split the rounds. Use a large round of wood--2 feet tall and 18 to 24 inches across--as a chopping block. The top of the block must be flat. Set it level and solidly on the ground so it does not wobble or move. Place the round of wood vertically on the block with the cut ends up and down. With great force, swing the splitting mall, cutting edge down, and bring it down on the wood round splitting the piece of wood. Continue splitting the wood in this manner until all the rounds are made into stove size pieces.